1. For $2 Million: We get to play the upcoming halftime show. 2. For $10 Million, one of us gets to quarterback a set of downs for the team of our choosing. 3. For $40 Million, the Super Bowl will be played with English football rules, where you must use your feet, and an actual ball. We look forward to hearing your thoughts once you’ve had a chance to review. We welcome any of the Super Bowl committee to attend one of our upcoming American concerts. Our tour kicks off September 15th at the Troubadour in Los Angeles, CA. 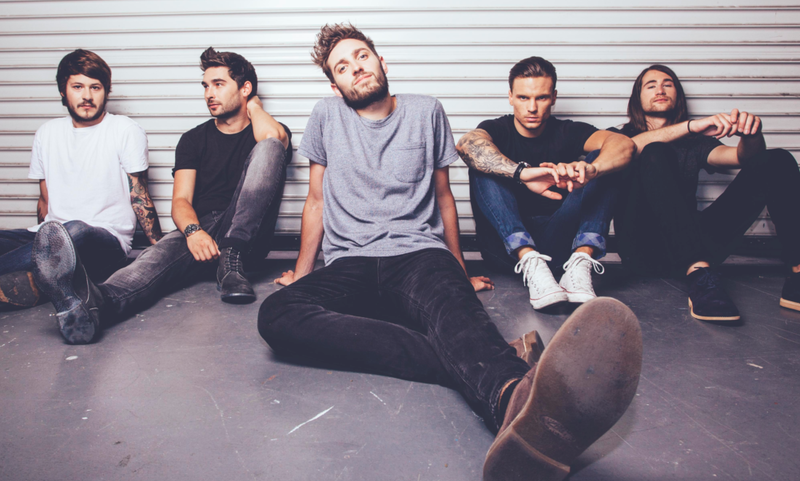 Should one or all of their offers be accepted, You Me At Six will be playing the Super Bowl XLIX halftime Show in support of new album Cavalier Youth, which hit No. 1 on both Billboard’s Heatseekers and the UK charts. Rolling Stone called Cavalier Youth a “confident, modern rock album,” and the Guardian praised it for having “the kind of fist-pumping choruses that made the Foo Fighters superstars.” You Me At Six recently won “Best British Band” honors at the recent Kerrang! Awards and are currently taking over U.S. airwaves with new single, “Room To Breathe,” which is top 10 at rock radio and rising. Over the course of the past few years, You Me At Six sold out UK’s Wembley Arena, racked up 3 Gold-selling albums and amassed over 20 million combined YouTube/Vevo views and 1.2 million Facebook fans. They recently tore the house down at BBC Radio 1’s “Big Weekend” festival in Glasgow, where they shared the bill with Katy Perry, Coldplay, Pharrell, Kings of Leon, Bastille and Lorde.